There are a few landmarks and attractions around town that can all be visited in a couple of days. 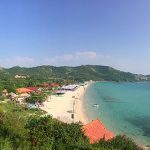 Apart from that, it’s really the laid back atmosphere, slow pace of life and easiness for single foreign men to meet nice local ladies that make you want to spend more time here than originally planned. Every afternoon when the hottest time of the day is over lots of locals come to hang out in their favorite park. Nong Prajak has a lot to offer, you can feed the fish, buy snacks from the locals or enjoy massages. Or just stroll around the nice pave ways and bridges or relax in the shade of a palm tree by the pond. There is also a bicycle and running trek all around the park, bicycles are available for rent: One, two or three seaters cost 30 / 40/ 50 Baht per hour. Promoted by the Tourism Authority of Thailand as the big natural wonder in Isaan, the red lotus sea on Han Kumphawapi Lake about 44km southeast of Udon Thani is a truly romantic place. There are thousands, if not millions, of red lotuses spread all over the lake. The highlight is to rent a boat for one hour (500 Baht for a big boat, 200 Baht for a small longtail boat, you can share with other people) and drive through the lotus sea all the way to a temple. The best time to visit this place is in January when the colors are the brightest and that’s also when they hold the annual red lotus sea festival. However, you can really visit year-round, just make sure that you come during the morning hours (no later than 9am) as this is the small time frame when the flowers are blooming and you can see the color. 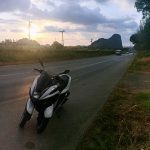 I rode the motorcycle there from Udon and it took me just like 50 minutes, nice and relaxing cruise past small villages and rice paddies. You can spend an entire day driving all around town and visiting the various temples. If you just want to pick a couple of the nicest ones you might give the beautiful Wat Pothisomphon a try. 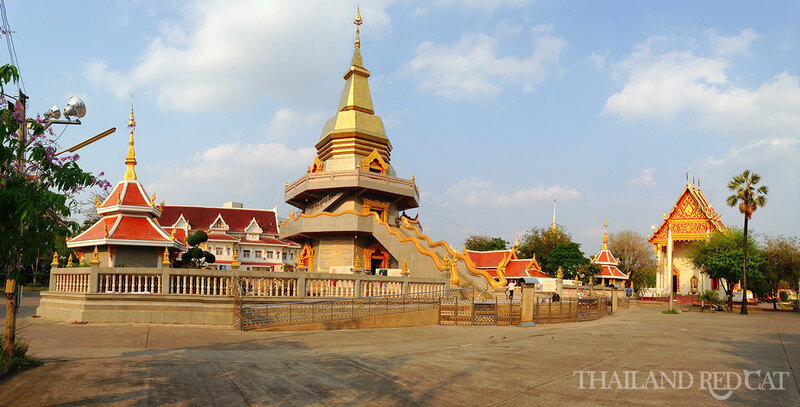 It’s located near the western end of Nong Prajak Park so you can visit both attractions without relying on another taxi or tuk tuk ride. Another famous temple is the Chinese style Sanjao Pu-Ya at the southern shore of Nong Bua (another popular park). It aims to represent the wealth of the local Thai-Chinese merchant class. If you don’t know what to do during the day or just need a place to cool down, Central Plaza is always worth a visit. This is not just the most modern building in Udon Thani but also the biggest mall that has all the big Western chains, a big supermarket, food court, dozens of restaurants and the only cinema in town. It’s the place that locals love to hang out at, kill the time and really more than that: It’s the place to be seen in Udon Thani. Central Plaza is located in the town center just 2 minutes walk from the bus station. It’s open Monday to Friday from 11am to 9pm and Saturday & Sunday from 10am to 9pm. Ban Chiang is one of Southeast Asia’s most important archaeological sites. In 1966, digs have uncovered skeletons, red painted pottery together with bronze grave gifts dating back to 3,600 BC and giving evidence to the earliest known civilisation in the region as well as proving it was not culturally undeveloped as compared to China and India. 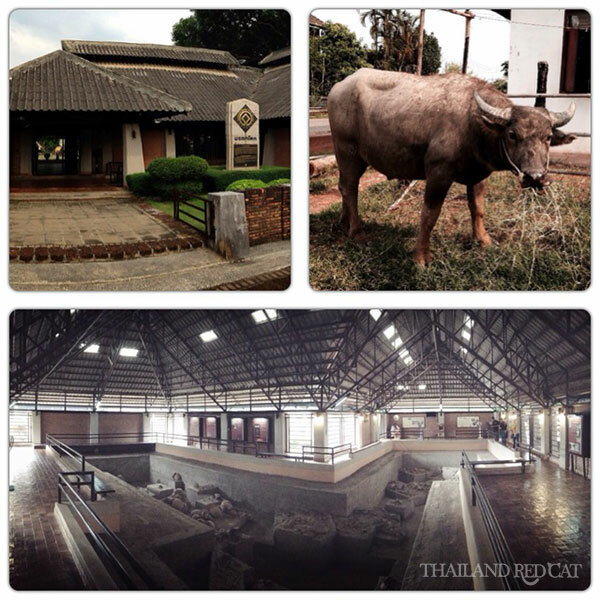 In 1992, Ban Chiang was declared a Unesco World Heritage Site. It’s basically a small village with a museum, a couple of exhibition sites and a nice temple in countryside Isaan, 55km east of Udon Thani. 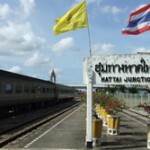 Find a more detailed article about my visit to Ban Chiang, the video and how to get there here.